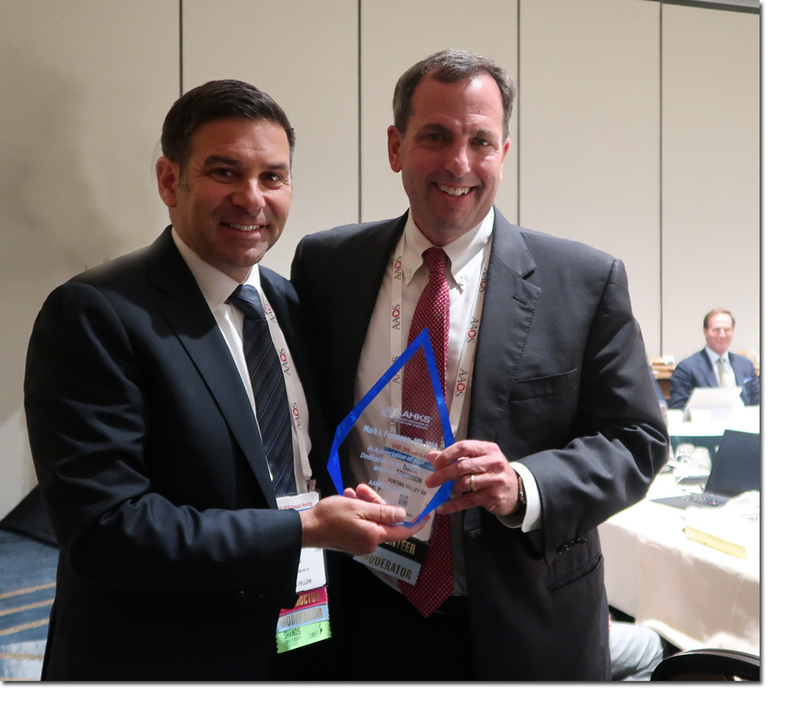 New Orleans – On Wednesday, March 7, 2018, Craig J. Della Valle, MD took office as the 28th President of the American Association of Hip and Knee Surgeons (AAHKS) during the AAHKS Board of Directors meeting in New Orleans. Dr. Della Valle is the Aaron G. Rosenberg Endowed Professor of Orthopaedic Surgery and Chief of the Section of Adult Reconstruction at Rush University Medical Center in Chicago. He specializes in primary and revision total joint arthroplasty. He has more than 200 peer-reviewed publications on topics including unicompartmental knee arthroplasty, primary and revision total knee arthroplasty as well as total hip arthroplasty, hip resurfacing and revision total hip arthroplasty. Dr. Della Valle completed his residency at the Hospital for Joint Diseases in New York City where he spent a year focusing on clinical and basic science research in the field of adult reconstructive surgery. He completed a fellowship in adult reconstructive surgery at Rush University Medical Center and Central DuPage Hospital. With many years of service to AAHKS, Dr. Della Valle served previously as Chair for the Education and Communications Council, Committee on Committees and Bylaws, Education Committee, Nominating Committee, and Patient Education Committee. He also served as Member at Large on the AAHKS Board of Directors and Finance Committee and as a member of the Nominating Committee, Research Support Task Force and the Values Project Task Force. Dr. Della Valle also served as the AAHKS Representative to the Fellowship Match Oversight Committee and currently serves on the Arthroplasty Today Editorial Board.